The Quaker Oats meatloaf recipe made with lean, low-cholesterol, protein-rich ground elk meat and healthy rolled oats, topped with a tomato-onion sauce. No elk? No problem. :-) I make it with a mix of ground beef and pork too. Venison, bison and turkey would also work well. An elk. An E.L.K. as in an entire elk, raised free-range on a ranch in northern Missouri. You think I could make this up? Hardly. ELK MEAT NUTRITION INFORMATION Per 1/4 pound serving: 116 Calories; 1.6g Tot Fat; .8g Sat Fat; 0mg Cholesterol; 0mg Sodium; 1.8g Carb; 0g Fiber; 0g Sugar; 22.8g Protein. 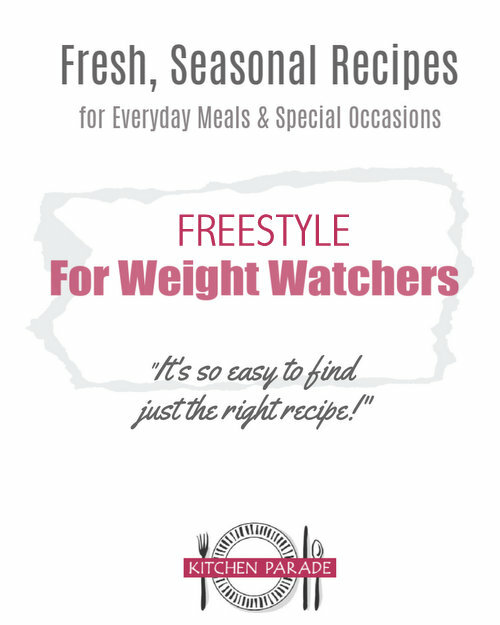 WEIGHT WATCHERS POINTS Old Points 2.5 & PointsPlus 3. 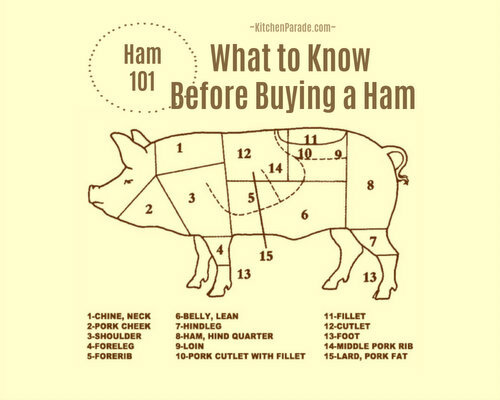 THE QUESTION IS Aside from the flavor, my first and indelible impression about having a whole animal custom-processed at a butcher’s is that you bring home fewer loins, steaks, roasts and hams than you’d think – and a whole lot more ground meat than you can imagine, let alone know what to do with. If this is the typical supply-demand scenario, it makes me wonder why a grocery store’s premium cuts aren’t even more expensive than they are, its ground meats less expensive. What’s happening to all that ground meat? RECIPE CALL! If readers have elk recipes to share, especially recipes for ground elk, this elk-overrun cook would be most appreciative. With a little help, I’ll collect recipes to attack an abundance of ground elk meat. SHARE YOUR STORY What’s the most unusual food you’ve brought home and then wondered what to do with it all? Share your story! ALANNA's TIPS This recipe doesn’t require ground elk. Substitute ground bison (which Whole Foods carries and is excellent), lean ground beef or even ground turkey. This particular elk was ground without added fat so the meat is extra lean for ground meat, too lean to use in meatloaf by itself. I used 2:1 elk:ground pork but use your own judgment based on how much fat is in the primary meat. I usually cook meatloaf on a ridged pan that lets the fat drip into the bottom. This time, I used one ridged pan and one plain Pyrex pie plate without ridges. Still, with such lean meat, the meatloaf gave off so little fat (only about 3 tablespoons) that it was easy enough to siphon off with a turkey baster from the pie plate. If you use a meat with more fat, you may want to pour off the fat just before spreading the sauce onto the partially cooked meatloaf. Two cups is a lot of ketchup, check your fridge and pantry supply, just in case. My notes say that I made this once with salsa, that's a great way to avoid the ketchup's sugar! When you're chopping the onion for the meat, go ahead, chop some extra for the sauce. Easy meatloaf recipe, here made with ground elk but bison, beef, even turkey work fine too. Heat oven to 350F/180C. Spray two glass pie pans or a large baking dish (see TIPS) with cooking spray. MIX MEATLOAF In a two-cup measure or bowl, whisk the eggs, then stir in the ketchup, Worcestershire sauce, garlic, salt and pepper. In a large bowl, hand-mix the oats, onion and ground meats, don't squeeze the meat to condense it, you want to keep it as loose as possible. Add the ketchup mixture and combine well, still without squeezing. Form into one or two round discs about 2-1/2 inches tall. BAKE MEATLOAF ALONE Bake for 30 minutes. THICKEN SAUCE While the meatloaf bakes, mix the sauce ingredients in a saucepan and bring to a bowl. Let simmer slowly, stirring often, until sauce thickens slightly. APPLY SAUCE & FINISH BAKING Spoon sauce evenly over top of partially cooked meat. Return to the oven for another 15 - 30 minutes or until the internal temperature of the meat reaches 160F/70C. REST Remove from the oven, cover with foil and let rest for 5 – 10 minutes before slicing. Adapted from the Quaker Oats meatloaf recipe. Kitchen Parade is written by second-generation food columnist Alanna Kellogg and features fresh, seasonal dishes for every-day healthful eating and occasional indulgences. Quick Suppers are Kitchen Parade favorites and feature recipes easy on the budget, the clock, the waistline and the dishwasher. Do you have a favorite recipe that other Kitchen Parade readers might like? Just send me a quick e-mail via recipes@kitchen-parade.com. How to print a Kitchen Parade recipe. Never miss a recipe! If you like this recipe, sign up for a free e-mail subscription. If you like Kitchen Parade, you're sure to like my food blog about vegetable recipes, too, A Veggie Venture. Follow Kitchen Parade on Facebook! These elk are raised on a game ranch near Macon, Missouri. They once roamed the forests of Missouri in abundance but have been gone, it's estimated, since the 1860s. In 2011, wild elk were re-introduced to the state in a special conservation area in southeast Missouri. A fine use of those tougher cuts of elk...ground them up, make sausage or in this case, meatloaf! We use alot of venison at our house and I have found this website really helpful. I have used several of these recipes as a starting point and they've always come out tasty. My sister and her husband raise buffalo. I use the ground meat just like I use beef hamburger. I really like for recipes where I can't drain the fat off, because it's so lean. I have a recipe for a meatballs/rice dish that the meatballs bake along with the rice. Ordinary hamburger is way too greasy for this, but the bison works great. Elk sounds similar to bison meat. I love grinding up leftover veggies and stashing them in my meatloaf. I can get up to almost a 1:1 ratio of ground meat to ground veggies, and anything goes. Meatloaf sounds yummy to me these days-thanks for the idea, and enjoy your elk! Wow, that's a lotta meat. If I lived next door, I'd pop over for a couple pounds of ground elk, take it home and make it into sloppy joes. My whole family loves sloppy joes but the elk would make it so much healthier. And I always put beans in my sloppy joes. The kids all love it that way. We love elk and always have it in the freezer. I've never used a special recipe, just use it in place of beef, keeping in mind the difference in fat content so you don't dry it out. We raise both elk and bison and can't say enough about the meat! When making roasts, we found it helpful to let the roast completely cool, then cut it. It's much easier to cut it thin-and then we usually prepare it with gravy. Yum!